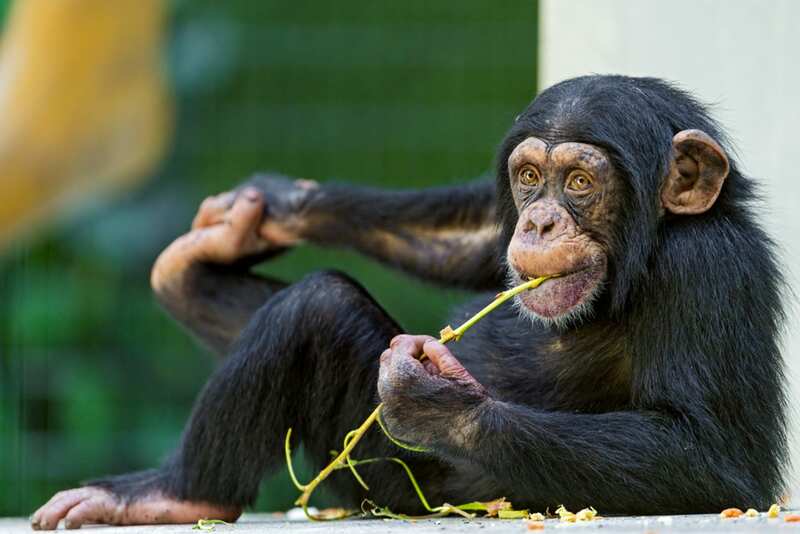 Chimpanzees – for “their care, maintenance and transportation, owned or controlled by the National Institute of Health” (NIH) – for the fiscal year 2018 received authorized funding in the amount of $9,400,000 (p.171). And that’s even though the 504 NIH-supported chimpanzees are “no longer useful for biomedical research” according to conclusions reached in a 2011 “major study”. Over the last eight years, 232 of the chimpanzees have been moved into federal retirement homes where they continue to collect retirement funds, bananas, etc. But as they say in bureaucratic – and chimpanzee – circles (sometimes one and the same), relax. Refrain from taking anything too seriously. Several takeaways from a short review of the referenced CBO document. There are a bewildering number of programs in which the Federal government has no constitutional basis to be involved. The vast majority are issues that should be dealt with at the State and local level. There is a tremendous amount of overlap between many of these programs which have numerous discrete agency budgets and I suspect competition for funding. Each agency has to have their own objectives, hierarchy, overhead, regulations, etc. which makes them inefficient and ineffective but keeps a lot of bureaucrats employed. There is an upward cost trajectory for many of these programs and very few that have been zeroed out. I can understand factoring in inflation but what I don’t understand is the base line budgeting that maintains a spending start point that apparently is never questioned as time goes on. At some point you’d expect most programs to expire if indeed they were achieving their objective but apparently the objectives are never met with anything but an increased funding to meet them. Lastly, it is painfully clear that Congress has lost control of the budget and ceded “oversight” if it can be called that, to career bureaucrats who know how to game the system. There is a deference paid by elected officials to career employees who have been entrenched in their position for decades and are seen as the “experts”. In essence, this creates an environment where the elected officials wind up working for the bureaucrats instead of the other way round. This is an abrogation of elected officials’ prime responsibility to work for the people who elected them rather than the people employed by them. Bureaucrats may have been delegated authority but it is the elected official who retains responsibility of oversight. This occurs at all levels of government and is not unique to the Federal government. What if Congress created an organization called the “Proposed Obsolete Resource Keepers” (aka P.O.R.K.) and their only job was to propose a report given to every member of Congress which had the line items of obsolete expenditures so “We the People” could identify financial resources (money) that we could keep, not spend wastefully. Then, every member of Congress would be required to spend the weekend together locked in the Capitol building and they can’t come out until they have at least 50%+1 vote agreement on which items to remove! Pretty sure we would save at least $500,000,000,000. White House Chief of Staff Bob Alexander (Frank Langella) offhandedly tells president look-a-like Dave Kovic (Kevin Kline) “that if he can cut $650 million from the federal budget he can keep the shelter” which is First Lady Ellen Mitchell’s (Sigourney Weaver) pet project. In the film “Dave”, Dave gets it done. Repeat that exercise only 770 times and you have $500 Billion! Though the “Dave” account is Hollywood, I am certain that in real life this could be easily accomplished. And, imagine that money going into developing businesses and economic marketplaces around the world. How much more financial benefit would “We the People” experience in better wages, more employment and greater innovation? We have to cut the US Budget, just like I must do, when we have limited resources. The most famous watchdog in the House was said to be H. R. Gross of Iowa (succeeded by (now) Senator Chuck Grassley in 1975), for whom a special exception was made to the practice that bills offered in the House were numbered consecutively. The number H.R. 144 was reserved each session for one of Representative Gross’s bills (because 144 equals one gross, making its title the arithmetical equivalent to his name. According to Bedard, Kentucky Sen. Rand Paul had returned, since taking office, a total of $1.8 million in unused senate office money (paper and print cartridges among them) to the U.S. Treasury. Examples: The Clover Park School Board of Directors, continues, as far as I know, to attend National School Board Association (NSBA) annual conferences to the tune of an average of in excess of $10,000. It’s available for $5.49 at Wal-Mart just down the street from the CPSD administration building where the school board meets. The four-and-a-half-stars (out of five) rating for this “Proven-Effective Battle Plan That Has Helped Millions Deal with the Troublemakers in Their Lives at Home and at Work,” is also available on Amazon for a whopping $0.01 cent. One penny. “Used, Very Good” condition, for one cent. Sure there’s $3.99 shipping but that’s for sending the book, as opposed to sending four board members to learn about the subject of the book: $10,040.36. Here’s five reasons for taxpayer revolt, in no particular order as they all fall into the same ‘Please, Are You Serious?’ (PAYS – crime doesn’t) category, or perhaps better, as Stephen wrote in his chimpanzee-comment: P.O.R.K. Four: Washington State legislators were reimbursed – at taxpayer expense – more than $5,600 for dry cleaning while total expenditures for iPhones, picture frames, artwork to decorate their office, and Bose headphones were not disclosed. “Stephen Ellis, vice president of the group Taxpayers for Common Sense, said the idea that lawmakers should spend public money to decorate their office or keep their clothes clean is beyond the pale. He said that while the amount of money may be small in comparison to the budget at large, the expenses offer a chance for taxpayers to get a glimpse at how lawmakers operate. I could go on but in conclusion, an idea. Pierce County is offering classes on how to reduce waste at home, practical things like sorting through your garbage before it goes in the bin, or composting whereby worms for fishing – a most worthy endeavor indeed – may be more readily found. There needs to be waste reduction classes as well for those evidently too far removed from reality – those charged with efficiently fishing for funds while running our democracy – as quite apparently, from the examples given, money – our money – is spent far too freely. ………..or Pierce County partnering with the ferry system to pay over $400,000 to “redecorate” the Steilacoom Ferry terminal building (about 2000 sq. ft.)….or some past City of Lakewood council members demanding that $650,000 earmarked for a new park department equipment barn be spent despite the fact that they got a like sized building for free when they took over maintenance of Steilacoom Park from Pierce County….or Pierce County sewer spending $2.4M on a bridge to no where over some railroad tracks…..or $20M on a golf course that can’t grow grass….. or the Pierce Transit commissioners who oversee a public transportation entity supported by a hefty sales tax that only collects 17% of its costs from those who actually use its services, which the commissioners seldom if ever use….or City of Lakewood spending a chunk of money on a 2 lane highway around Wauhop Lake while it putrefies. You can understand why politicians are politicians and bureaucrats government employees: they’d never make it as business people. If it were their money they were playing with they’d go broke. Thank you for being our “Town Crier”. So many don’t know how government funds are obtained or allocated. Budgets never go down, they rarely stay the same, there is a percentage increase each year. And as most have heard, there is a rush to spend it all before the end of each fiscal year. Government is not accountable! As long as legislators and any sitting governor/president look at the voters as “deep pockets” there will be no change; the people being the ones to foot the bill for any/all of their spending ideas. I am surprised we haven’t already seen the EZ1040 tax form which truly would “fit on a postcard.” It would ask only one question and give only one directive: 1) How much did you make? 2) Send it in. CPSD used to (maybe they still do) send board members and/or administrators to secluded meetings/seminars at Alderbrook Resort. It is located on the Olympic Peninsula. Meals and lodging were provided at taxpayer expense. One rationale I heard often was that there were too many interruptions at district headquarters. What? Get a large room at the district and shut the doors! And what happened to the idea of conference calls with giant screens set up? Two-way communication via computer conferencing has been around for years; new innovations have only served to improve the concept. You are right Dave that at one time (and maybe still) the CPSD board met at Alderbrook. In 2008, according to Lakewood City Council minutes, councilmembers would likewise hold their annual retreat at Alderbrook Resort and Spa on Hood Canal where “farm fresh scrambled eggs with Tillamook Cheddar Cheese and Chives, pork sausage and pecan smoked bacon” is served. And that’s just breakfast for what would be a two-day extended council planning meeting. The (heretofore) unspoken truth about NSBA conferences is that they are perks, most certainly not necessities. Complainers (may their fiscally-conservative tribe increase) prevailed at least with regards the Lakewood City Council. Council retreats are now held at City Hall. Likely, though unknown, the CPSD Board followed suit. That being said, it remains quite doubtful that the CPSD Board has discontinued attendance at NSBA conferences. Committing personal time – over time (and a cup of coffee) – at a computer researching and reading on whatever subject of interest – or whatever is required to become more than you are – engages the mind, disciplines the body, saves money, and ultimately and most likely achieves the desired end. On the other hand, flitting about the country – whether to Alderbrook or Alabama – reflects poorly not only upon frugality, but also demonstrates what it means to be mechanistically un-savvy. We live, after all, in a high-tech world – the Internet – whereas conferences are at best low tech. With so much available at our fingertips via computer at home, and at our place of employment, and books – the things students use in school – why spend so much, or any, taxpayer money to park the posterior of board members somewhere other than where they belong? Many years ago, recess (elementary schools) was taken out in order to increase teaching “contact time” with students. In doing so, they also took away students’ time to get some much needed exercise to burn off energy and to use the bathroom. It ALSO took away bathroom time for the teachers. Elementary teachers now have to remain in the classroom from approximately 8 AM to lunch time (noon?) without being able to relieve themselves. Students, however, have access whenever “the urge” occurs, leaving the classroom unsupervised.